You asked. We listened. Now everyone benefits. You got it. 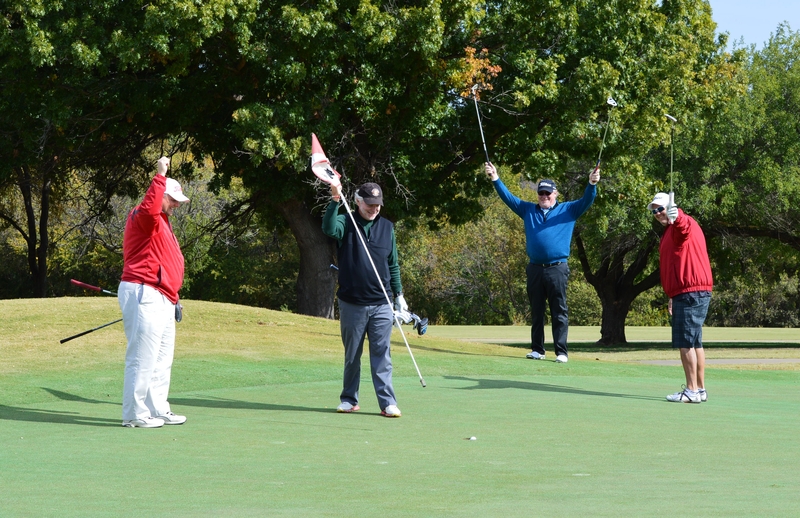 This year, the Fun Golf Series calendar has swelled to 26 events across Texas. That’s nine more outings than last year. Kelly Kilgo, the TGA’s Senior Director of Outreach Programs and Fun Golf guru, said she hopes to add even more events during the summer and fall. Among the new Fun Golf venues for 2019 are Golf Club of Dallas, an old-school Perry Maxwell design that hosted the Byron Nelson Championship in the 1950s and ’60s, Tanglewood Resort, an Arnold Palmer-Ralph Plummer course in North Texas, Westridge Golf Course, a unique layout in McKinney that features six par 3s, six par 4s and six par 5s, the Club at Sonterra, a private course in San Antonio and Oakmont Country Club, another private facility located in Corinth. Giving golfers access to private courses is part of the allure of the Fun Golf Series. Kilgo loves taking these casual outings to places most golfers aren’t able to play otherwise. She’s bringing back several fan favorites from the private sector for 2019, including Walden on Lake Conroe, the Miller Course at Bentwater Yacht & Country Club, Northgate Country Club, Las Colinas Country Club and Lantana Golf Club. Since the TGA started the Fun Golf Series in 2015, one of the most popular venues has been TPC San Antonio. We’re headed back there this year – not once, but twice. On March 8, TGA Members and their guests can play the Oaks Course for a discounted rate. That’s where the best players in the world tee it up every year for the PGA Tour’s Valero Texas Open. Then on Oct. 6, Fun Golf returns to TPC San Antonio to play the Canyons Course, the club’s resort-style track, at a reduced rate. There are also two opportunities for golfers in the Dallas-Fort Worth area to play with TGA staff members. In conjunction with the USGA’s Play 9 campaign, you can play alongside TGA staffers in our nine-hole outings at Tenison Park Golf Course (May 23) and Firewheel Golf Park-Bridges (Oct. 16). While it’s never mandatory, there is always some type of competition to sign up for at Fun Golf outings. Usually it’s a Low Net/Low Gross game or a four-person team scramble, but we’ll introduce some new formats, such as two-person scrambles and even one-person scrambles, where each player gets to hit two shots and picks the best one. If you’ve been thinking about playing in a TGA event but are a little apprehensive about how your “away game” might hold up, a great place to start is the fun Golf Series. No one is taking the game too seriously, and everyone is having fun. Doesn’t that sound like something you’d like to try? Hope to see you soon at a Fun Golf outing near you.